NEW YORK, NEW YORK – March 25, 2019 – GameChange Solar today announced that the introduction of new module mounting hardware as well as Integrated Hardware™ throughout the systems and other improvements have reduced part counts and install speed for the MaxSpan™ Post, Pour-in-Place™, and Precast Ballasted Ground Systems. 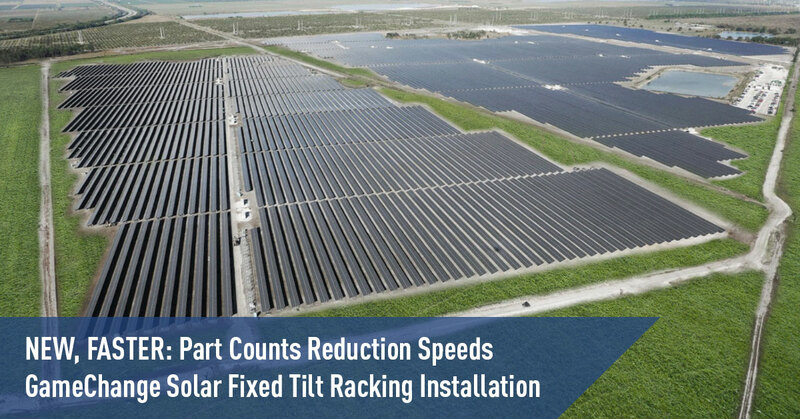 The installation speed improvements are estimated at 11 to 30%, depending on the system. The new parts are being rolled out throughout 2019 and are expected to be standard for all systems by Q4 2019.